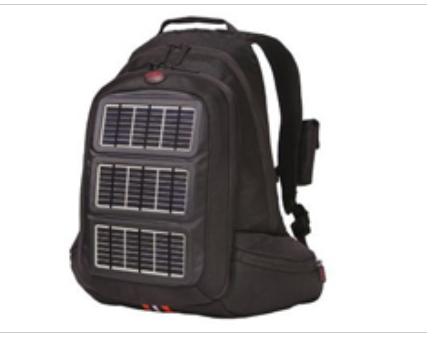 A Solar backpack is a cloth sack carried on one's back and secured with two straps that go over the shoulders, equipped with thin film solar cells and batteries. The solar panels convert sunlight into electricity, which is stored in the batteries and can be used to power portable electronic appliances like mobile phones] and mp3 players. Incepted in the year 2014, at Mohali (Punjab, India), we “Sunnen Envirotech Private Limited”, are recognized as an eminent Manufacturer and Supplier of a broad assortment of Solar Lighting Products, Solar Appliances, Solar Thermal Systems, Solar Industrial Applications, Solar Vehicles, Solar Miscellaneous Products and Solar Packages. These products are manufactured using the premium quality raw material and cutting-edge technology in adherence to the set industry norms and guidelines. The offered solar products are highly appreciated among our customers for their attributes such as robust construction, durability and easy installation. These products are stringently tested on diverse parameters of quality in order to provide flawless range at clients’ end. Additionally, we offer these products in numerous specifications as per the need of our valued customers. All our products are available under the brand name Sunnen.